Known for her polished personal style, Valentino's muse for Resort '19 is Jacqueline Kennedy Onassis. Something we can imagine her wearing, this wrap-effect mini skirt is neatly tailored from wool and silk-blend - the wefted fabric is thick and lined in silk-satin to sharpen the A-line shape. 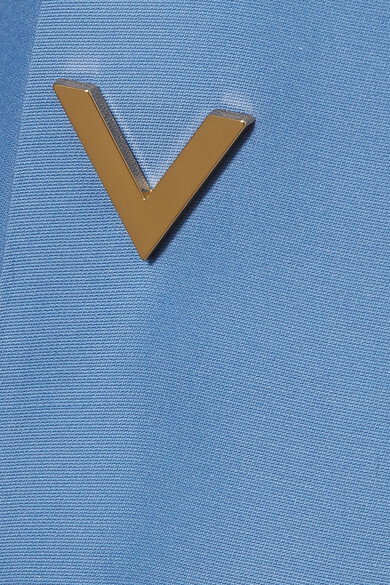 Gold monograms detail each of the concealed snap fastenings. Shown here with: The Row Top, Loewe Shoulder bag, Gianvito Rossi Sandals, Sophie Buhai Earrings, Jennifer Fisher Ring.